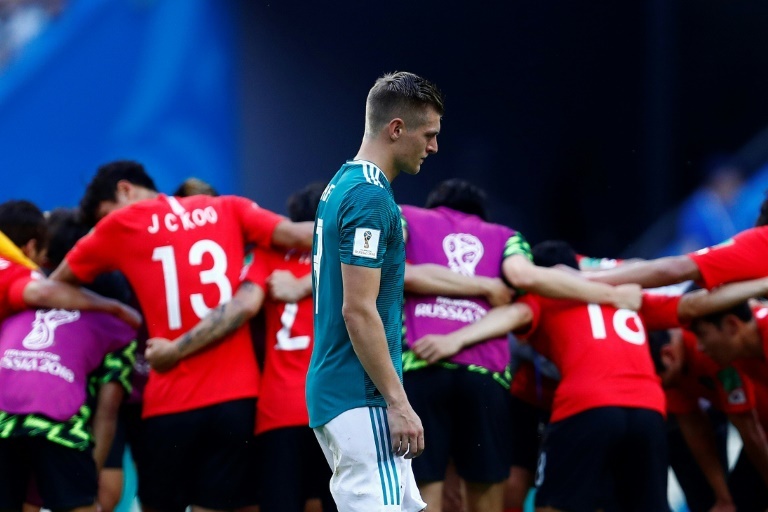 But after spurning a series of scoring chances, Germany were stunned in five dramatic stoppage-time minutes as South Korea scored twice to record a historic win over the world's number one-ranked team and leave the Germans rock bottom of the group. 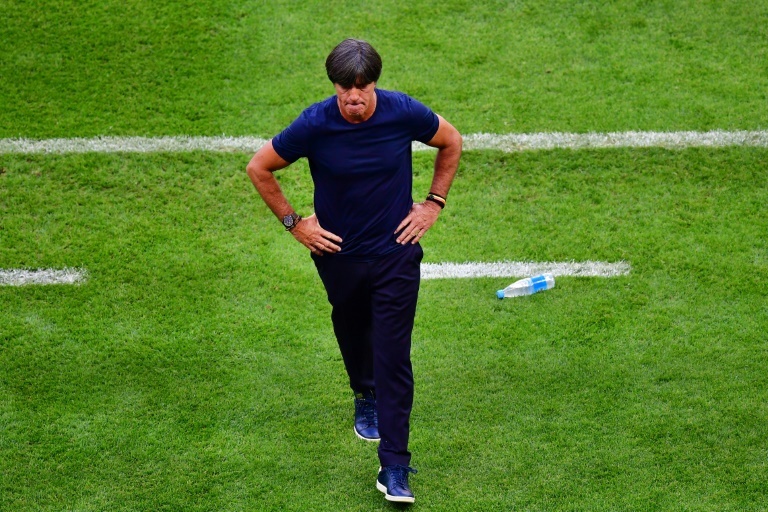 "I'm shocked because we didn't manage to beat South Korea and qualify," said Loew, who said he will wait for "a couple of hours" before making any decision on his future. "The disappointment of us being eliminated is just huge," Loew conceded. "We didn't deserve to win the title again, we didn't deserve to make the last 16. We tried hard to win, but we never earned the chance to take the lead." Loew's side began their campaign with a 1-0 defeat to Mexico before rekindling their bid with a last-gasp 2-1 win over Sweden. The Swedes won the group on Wednesday after beating Mexico 3-0, but the central Americans also went through. "First we need to congratulate our two opponents who made it out of the group," said Loew. "For us it's a huge disappointment. At our training camp we prepared well and we came here ready to take on the role of defending champions. "But we didn't play the top-class football we needed to. We created chances against Korea but we couldn't relax and score the goals we needed. "Since 2006 we've been among the last four or in the final. This time we didn't perform to a level sufficient to allow us to do that. "We have to admit this is a defeat." From 30 yards out, it should have been fodder for World Cup-winning Neuer, but he fumbled Jung's dipping drive Neuer and scrambled desperately to clear. After failing to find a way past suberb Korea 'keeper Jo Hyeonwoo in the second half, Germany could only look on in shock as US referee Mark Geiger called for the video assistant referee to intervene after the unmarked Kim Younggwon had bundled his shot past Neuer from a corner early in stoppage time. The goal was awarded because Toni Kroos' touch had played him onside, and minutes later Germany were 2-0 down after Neuer ran up the pitch in a desperate attempt to grab an equaliser. "How we go from here is something we have to talk about," he said. "It's too soon but we'll talk about it shortly."